The Steel frame makes up a great portion of this beautiful cabinet, offering a little more style than you would find on any other cabinet of this kind. 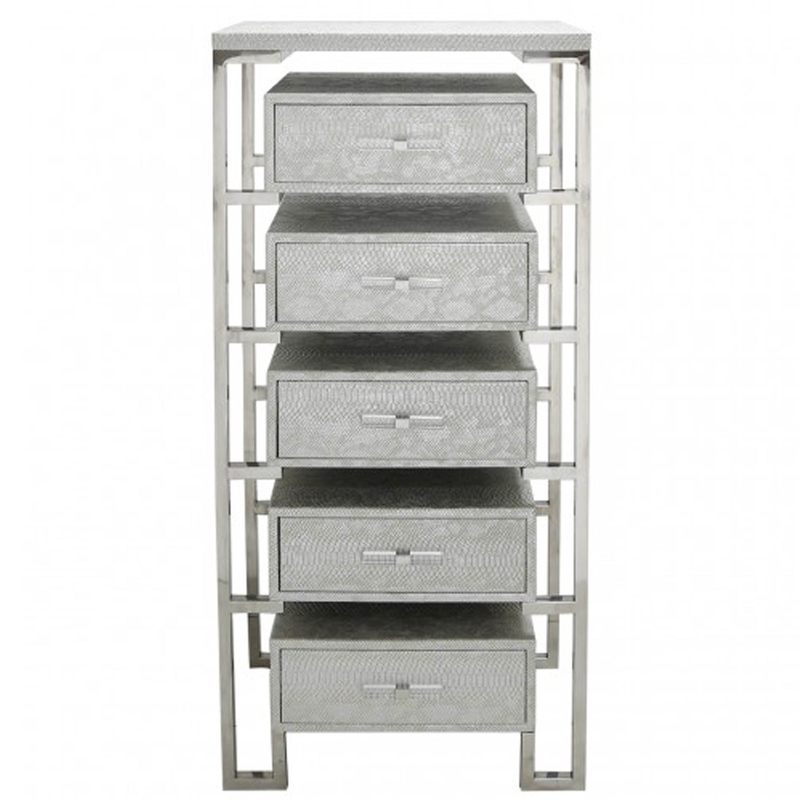 The 5 drawer design allows you plenty of potential for storing away your belongings to keep them safe and top help keep your home tidy. A perfect addition to our range of modern furniture.